For boys and girls aged between around 10½ / 11 and 14 years old. The Scout Troop is based upon the ‘Patrol system’ which encourages leadership and responsibility. This involves small groups of young people working, learning and playing together in a patrol; led by someone of a similar age, and supported and guided by a team of highly trained adults. They have a very full programme of activities such as: Canoeing, Sailing, Wall Climbing, Abseiling, Air Rifle shooting, Archery, Mountain Walking & Camping. They also have the opportunity to be involved in many District and County run events, such as camp cooking, night hikes and various training courses. Scouts can achieve a large and varied range of challenge & activity badges that cater for every taste, skill and capability. There are also core badges for joining or moving on from the Troop, or for time spent in the Scouting movement. 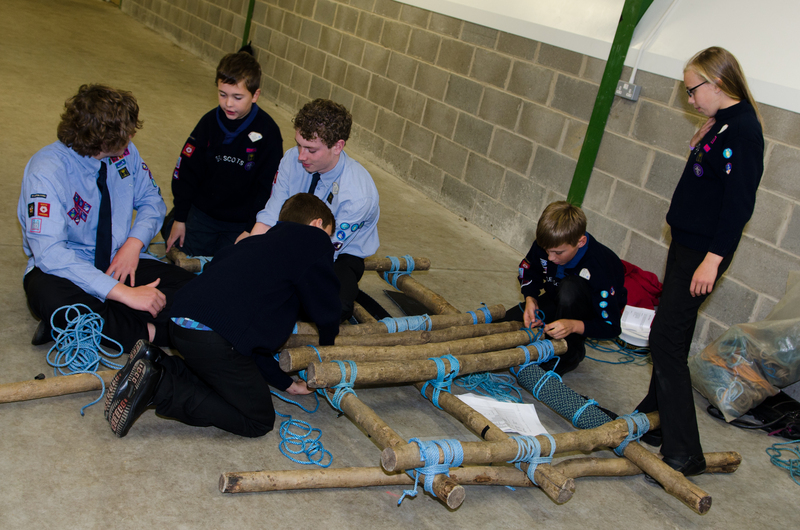 The progressive training scheme leads to the Chief Scout’s Gold Award in this section. The ultimate goal for all Scouts is to achieve their Queen’s Scout Award – the highest and most difficult award and one that carries numerous benefits and is recognised by employers to have the same status as many professional qualifications. 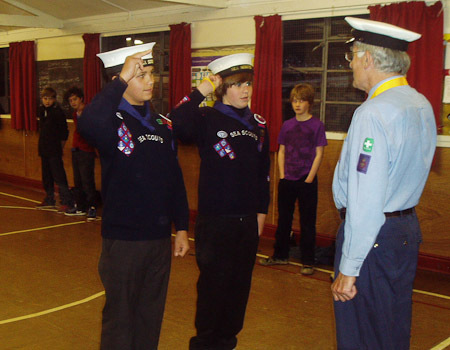 Sea Scouts wear a navy blue jumper, group woggle and a Sea Scout cap. See the Uniform – Scouts page for more information.